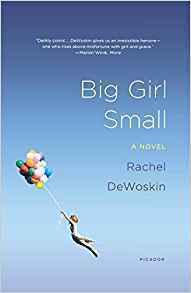 Rachel DeWoskin is the author of the new young adult novel Someday We Will Fly, which takes place in Shanghai during World War II. 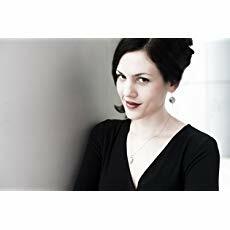 Her other books include Foreign Babes in Beijing and Big Girl Small, and her work has appeared in a variety of publications, including Vanity Fair and Ploughshares. She teaches fiction at the University of Chicago. Q: You note that two photos of Jewish refugee children in Shanghai inspired the idea for Someday We Will Fly. How did you create your character Lillia and her family? A: My novels are all concerned with human beings in trouble, people on the peripheries, trying to figure out how to transcend contexts that are unfamiliar or excruciatingly difficult. Lillia is that kind of character; she's tough and imaginative, and although her life circumstances are tragic, she manages to demonstrate the sort of resilience teenagers often do. I came up with Lillia from those photos of children who had escaped Nazi-occupied Europe and were living in Shanghai--their toys and clothes and scrubbed faces made me want to explore how their parents had managed to come to Shanghai in terror, land in a place as unfamiliar as any place could possibly be, and then still build childhoods for their children. They made schools, sports teams, and beautiful dolls for their children. Of course Lillia is also a composite of my daughters, an imaginary rendering of them forward. She's in many ways parts of me, and I tried to make her both of her own era and recognizable as one of us--someone with the same hopes and dreads we have now. Part of the way Lillia survives is by way of leaning on other people--members of her family, friends she meets in Shanghai, and her struggling little sister. It's important to me in my work and life to tell stories of girls keeping each other afloat, and also stories of the friendships I've seen (and experienced) between Chinese kids and Western kids. I spent my 20s in China, and had a web of absolutely necessary relationships with my Chinese peers. Q: You write, "The relationship of fact to fiction is tricky..." What did you see as the right balance between the historical and the fictional as you wrote this novel? A: Wonder is the central engine of fiction, and my novels ask questions--this one asks how we possibly manage to raise our kids in the context of war. In order to imagine my way into that question, and into the particular context of Shanghai in the 1940s, I read extensively, spent six summers in Shanghai, living in the Embankment Building (which once housed the processing center for Jewish refugees), and imagined. I made up this girl who is similar to other girls I write, but the research was essential to the imagining of her life. And then, because it's a novel and the main goals are meaning, beauty, and propulsion, I took some liberties--I condensed events, made up relationships I didn't find in the history books, imagined details that aren't "real" in a factually accurate sense, but made the novel truer. A: I hope the title conveys the vast hope of the book, and suggests resonance with Lillia's mother's performances [as an aerialist] and the sense that we as human beings can try to rise above our worst inclinations and circumstances. Q: The novel focuses on the lives of refugees. What do you hope readers take away from this story given the headlines about refugees these days? A: I started the book in 2011 while I was in Shanghai researching a contemporary project. Someday We Will Fly seems now especially topical, but we weren’t in that exact conversation then about borders and refugees that we're in now. What is happening right now at America's borders is horrifying, and it's a throwback to the ways in which we refused entry to people who were in danger during World War II. We should be a haven, as Shanghai was, and so few other places were. My other hope is that [the book] inspires literary empathy…the best way to inhabit someone else’s mind is in reading or in writing. Imagining fosters the ability to envision what life is like for someone who isn’t you. A: I have another book coming out in the summer. It’s a very different book, an adult novel, Banshee, about a woman who gets a medical diagnosis and uses it to tear her life to the ground. She behaves in ways I wouldn’t. I guess I gave myself an assignment--could I create a villainous character who’s still compelling enough that we want to follow her story? I'm compelled myself by the question of why people do the things we do, not so much by whether those things are good or bad. I've also been working on organizing a conference about the history and legacy of the Shanghai Jews at the University of Chicago in the spring. We've just opened an exhibit of wartime objects, photos, and documents at the Regenstein Library, which is really moving. We have bookbags, diaries, clothing, paper dolls, and the exhibit really gives the scope of a lived girlhood in Shanghai during the war. For the keynote, former Secretary of the Treasury W. Michael Blumenthal is coming. He came of age in Shanghai and is one of the most generous and profound thinkers and writers I've ever spoken to. His keynote will be followed by a concert of wartime classical music played by violinist Yuan-Qing Yu and her quartet Civitas Ensemble. I'm really excited about the events. A: Nope. 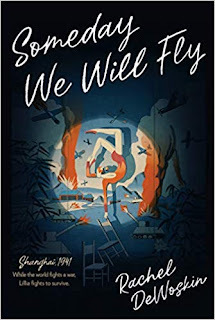 Thank you so much for the interview, and for taking the time to read Someday We Will Fly!